Creating particles in After Effects is awesome! We have all used Particular and Particle world but why not combine those particles with some real ones! Sometimes you need to create elements that are so complex and organic that you are better off taking out the camera and making a mess. In this example we use a little bit of flour to mix things up! thank you for wonderfull site. Really love the bokeh you generated on some of the shots! Thank you very much from your site. nice this post. this site is very good and useful content. Sometimes you need to create elements that are so complex and organic that you are better off taking out the camera and making a mess. Thanks for posts like this. Showing the world that not everything has to come from a plug in or some hidden CC effect. I'd be really interested in seeing some more stuff like this. This actually quickly solves a special effect I need to do - been trying to figure out a simple way to do it without resorting to 3D - thanks Andrew! Would love to see tutorials on Particular to simulate similar effects. Your videos and tutorials are really mind blowing..!!! I have request though, can you make a tutorial on how you made the Introduction in the "SABER" plugin Trailer..PLease..!! Awesome Andrew.. Love your looks at the end.. Cheers!! This is my this weekend project. Video Copilot is the best freaking website on the internet. I work with video cameras and never used a still camera for movement, unless i was creating a simple pan to make it look like i was panning. I'd be pretty nervous to whip out a bag of flour around an SLR. I want my personal Andrew Kramer as best friend! Exceptional post, thanks a lot buddy! where i can found this is particulars which Andrew created? Why is cloning forbidden by law? I want my personal Andrew Kramer as best friend! WOW! Amazing! Good job Andrew! awesome! lol love all your videos dude. Funny funny funny... that is what makes your brand so consumable. Nice work man! Great video but can anyone tell me where I can the kind of music in this video? You have done a great job.Thanks! Excellent article as always. to say I love reading your blog and look forward to all your posts! Keep up the great work! Can you make these 3D so it looks like they're swirling around words, or so they spin when you make text spin, similar to the Sure Target tutorial? Please help! very nice Nice job on the particles as well. That was hellarious!! Nice job on the particles as well. Great tip and tutorial, many thanks! DOES IT WORK WITH AE CS3??? I would like to see another real particle tutorial with a real nice source is vacuum cleaner bag.But Andrew please use a stuntman or gas mask (not dust mask).May God bless you. @ 1:53, lol. this dude is too funny! Andrew, you are damn handsome! Does anyone know which color-effect Andrew used at 2:17?...By Chance? as someone new to this caper, I found this video really helpful on creating a particle efect, but I know I have to go through the long slog of learning. I've watched a lot of these video tutorials and this is the frist time i seen Andrew Face, And for some reason His voice doesn't fit.... lol I was expecting a more Geeker guy... lol!!! As is the issue of programming for after giving the sense that you like? after that one plugin that you can then have occasion to modify everything including the amount ... sorry for my English! I think you guys are making an amazing job , we all enjoy your visual works and loops. it is really great that you support the visual world. Thanks for free particles shots! Is that possible with water vapor??? I mean like a spray of some kind?? Maybe have a super high speed camera to slow down the droplets??? I wish I had the equipment to do this but your got my brain going!! Hey Andrew, great work on the particles. I was curious though on how you did it with the still camera. Did you take several shots to create the motion. I work with video cameras and never used a still camera for movement, unless i was creating a simple pan to make it look like i was panning. Hey Andrew. I'd want to invite you to my country - Azerbaijan. And film some cool movie, before ESC 2012. Kramer! you are such a Show man! I laugh a lot while I learn too! what kind of camera do you use? I dont have any good camera for it, only D90 Nikon can I use it for it? i just gotta say, you really are a funny creative dude. You have just revealed the secret of the particles ,great and hilarious ,like you always made of it!!! Thanks you are the greatest !!! @ANDREW KRAMER . Sir I LOVE YOU MAN ! you are my Teacher GOD bless you ! best Wish For you.. You are Amazing.. It's so cool the effect of this real particles, but i don't think make jokes around drugs was so funny!! Is that Sam Loya's driving licence that you are using? but it's looks like coca haha "Don't try at home"
That footage with you sliding the flour into lines had me laughing for 5 minutes. Definitely the funniest tut I've seen you do. I could swear that thing was cocaine!!!! Really good as always Andrew! AHAHHAH!! Very interested!!! I laughing at the end!! hahaha!! I'm your fan!!! ;-)!!!! Wow! I know that you are like a god in AE but i didn't know that you were almost as godlike as emm at cheesycam. xD REally nice idea, lol anthrax. @Vishal, You can get any camera and use a macro extension tube, or a macro reverse tube, or a macro filter like the raynox. Search amazon.com and find a macro extension tube. They essentially just do what a magnifying glass does, the lens is the glass, and it puts it further away. Everything far away gets blurry but it's macro. They're only 10 bucks, and are usable with the nifty fifty for 100 bucks. That's 110 bucks for a macro lens, what a deal. Or you could wait till your good and get the 100mm macro. I just love the way Andrew does these videos - downloaded the pack, too! Really helpful! Great vid, I was wondering though how to shoot organic liquids. My camera is tired if getting wet lol. This video made me giggle as my wife had this idea earlier this year for making a snow effect.. Check out this ad. I think they used the flour particles at the end of the video. What microphone are you using? The audio is incredibly clear and rich in this video. I watch tons of your tutorials (literally, I weighed them) and normally I grin or smile at your jokes... but damn when you turned around and your face was covered I truly guffawed. Which is weird cause I wasn't aware I could even do that. I didnt realise Andrew ever replied on here! Where can I download the bag of flour from? really nice tutorial Andrew... I've thought of doing real footage myself, but time... thanks for this 'idea' and God bless u nd ur family! I dont normally get all 'right on' about things but.. Anthrax is not really a subject to make fun about. Generally VC is brilliant, hugely educational, and v entertaining tuts etc.. but you guys must realise with such a huge audience comes some responsibility about content. Look into it and I think you'll agree. how to download those 15 720p particle clips? what a great work from andy, i dont know what some of us will do without you ANDREW you are God sent all your works look great it my dreams to work with you if the times comes,you've really help me alot and have learn alot from you sit keep the good work.Now we have 5D which the picture is not bad at all after workin and you add looks then you are there. Could someone tell me how you get a photocamera to shoot a film? Is this a feature on the type of photocamera Andrew used or is there another trick? I have a Nikon D40 photocamera but never gave this kind of filming any attention. Bahahahaha!!! Dude, you are an absolute riot! The part where you broke up the lines was hilarious and made me actually laugh out loud. Keep up the great work! That was a great tip Andrew, and as usual incredibly funny!! we can't dl this now !!! Andrew, are these musics from a dvd of the pro shop? That is awesome !! Although I have one question ! How do you use those particle footages afterward, lets say you wanna use them for a snow shot or a dusty desert shot.. how do you use that on another footage ????? Dru, Your honorary street nickname, although CokieMonster was my fav. ;) Thanks for the amazing work! What were the camera settings and capture process you used for this particle shot ? Someone knows the name of first song!? BWAHAHA I swear if you were not a digital FX wizard then I think perhaps comedy would be your next best gig! The whacky things you say and do during your tutorials and blogs keep me so entertained as I learn! One funny dude! im in love with your works and your your toturing and specially with you. it is realy piece of something. Haven't laughed like that in a while! Good stuff bro. You're a funny guy Andrew. Thanks for everything. Thank you Andrew for this fun and entertaining video on making your own real life particles. Also thanks for sharing the stockfootage. im totally agree with you. hope he wasnt married. im not saying that he shouldnt had wife and kids but he is realy cute and i want him so badly. ommmmmmmmmmowah. this was a kiss for andrew. he is mine. tu es aussi drôle qu'ingénieux ! Your camera should come with either composite video cables, red yellow and white RCA, and maybe a HDMI cable. I am 90 percent sure that the t2i has a HDMI output, but just look on the left side and see if it has one, then just get a hdmi cable and hook it to the monitor. Obviously you need power too. This is also a good idea, I found out on cheesycam.com, that they have mini portable 7 inch tvs, that have 6 hour batterys and you can connect those to your DSLR. I am going to buy a haier one on amazon for 50 bucks refurbished, way better and cheaper than monitor. Is it just me or does it really look like at 1:56 seconds it looks alot like he is sorting out some cocaine?. I am just saying. Oh, you would know wouldn't you? Never fail to amaze me with your creativity Andrew. I like watching your videos just because your so damn funny in a very serious way...cracks me up. Great job!! Andrew that was a amazing demonstration. cool trick..and the lines with the card was HILARIOUS I was cracking up!!! Muchas gracias desde España, sois geniales. Thank you very much from Spain, are great. Ok, you said "next week" 1st september we would see some news about it...Do you know that each week has 7 days dont you? 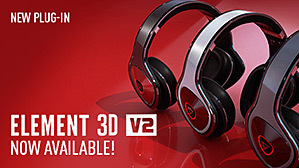 :) Man please release the Element 3d! At least a new preview! That's all find and dandy Andrew, but what about Element?! Seriously thought, when I get a 10.000 $ studio I'll do my own particles, until then I'm sticking to AE. How much did the camera/light rig cost? 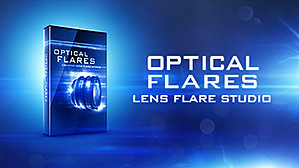 And what lenses did you have on there? I think a lot, but.... I hafe to say that you are realy a funny presentator. Every time it's fun to watch your presentation or tutorials. Also i hope in the next future to see something about water, cool water effects, currents and manny more you can find unther the surface. Seriously Andrew, u need2 consider a career in comedy. Hilarous stuff! Thanks Andrew. I've been looking for a snow storm effect for an up and coming shortfilm. Thanks. Great work but dare I ask, Element please? I check every day hoping its Element day - I even have party hats ready. Seriously I'm starting to get the shakes. Exactly! I have been checking his site at least three times a day. ELEMENT!!?! and a NEW TUTORIUAL!!!! school is starting and i don't really have as much time to go on here so i can't wait ! I know!!! ionly have a little bit of time untill i won't be able to buy the product!!!! is the music the work of your new sound designer? loved it! will have to try this out! This is why you're the man! Hilarious, yet genius! I actually grabbed some great footage just like this with the same setup...black background, one light (underneath) and a 100mm macro. I was shooting stills of another subject and noticed these awesome dust particles so of course I rolled video on that. Never occurred to me to use flour for controllable takes! There's a reason I refresh VCP ten times a day. Oh man, you practically taught me After Effects through all your wonderful tuts, and now you give me the best time of my day, that powder presentation is so funny ! Thanx Andrew for being what you are, and not taking all of this After FX stuff seriously. Always some fresh air cruising on my favorite VFX platform : VCP. ps: the beard part of the demon cam behind the scene is a must and one of my favorite of all times. Andrew you shared with us a few NY textures and I used some of them in my AE project which will be shared with a 3rd party who might re-share the project files. Is that against the VC rules? You made me laugh real hard dude! Thank you, by the way, tutorial was great! Actually fire with flour or spores(Lycopodium Powder) will make a cool fireball when lit, if you film that, you may get an even cooler effect! I wish i was Andrew Kramer!!! This is cool and creative idea, i also think that if we use the( white bubbled boards ) -if i said the right name but im sure you know what i mean - , it would be nice when we crunch them and let them fly in air, especially its shapes are hexahedral or pentagonal or other multi-surfaces shapes which they give a cool look especially when they begin blured. I think there is a lot of materials that we can get profit from them. I am in charge of making a school magazine (mainly the cover design) and I need to make a very cool cover design. I would like to give 3D titles that are made in after fx. So someone please give me some links and if Andrew Kramer is reading this then he might think of making a tutorial out of this! Note that I am only 16, BUT my graphic talents are awesome! At first I thought Andrew was kidding! OMG this is SUPER! This is pretty amazing :D Did the flour damage the camera at all? I'd be pretty nervous to whip out a bag of flour around an SLR. Anyone notice Kramer's getting cut!! look at those guns and chest!!!!! Your so stupid!!! It's AWESOME, LMBO, I have no words it's just VCP has a great team. Made something so simple into really great tut. You have skills. I'm still laughing. Ak you rock. You're a very cheeky man Mr Kramer... Love the inability to keep a straight face during the little tweak of the nose! Those CC'd natural particles look awesome. OMG, that is one of the most epic videos, I have seen from you. Love it! I have a man crush in a non-gay way. lol. upload those footages as free stock packs ak!!!!!!!!!!! So how would you go about compositing these particles into some real shot scenarios? Obviously you wouldn't have control over them like you would in a PG. Can you make a download link for a few takes so we can use them in our own projects without doing this ourselves??? kramer .. you are the king of AE .. can I be your flour shaker? how would this look if i don't have a macro lens? Andrew Kramer is father of after effects. Hi Andrew! You are genious! How can you be so creative? You can still suprise me...:) Congratuilations! watch transformers title effect with twich PLUGIN! Can you tell what the name of the song plz)? Really great idea, looks awesome Andrew. Keep them coming. I will definitely be trying this out. Thank you! I told you to pick a Quiet Dorm and not to move into a Frat House !!! This is by far one of the best short tutorials I've seen because of its information and humor. Keep it up man! God bless you! And do you want to make a new product of video copilot with that?? Love these simple tips and tricks, but really waiting for Element!!! When is that dropping???????? Excellent tip thanks so much ... I guess this is no longer a family show. Man ur realy creative !! So...all we need is a little imagination? Some things are exactly in front of our nose...and we can use them! Great stuff, Andrew! Thanks for the inspiration! Cool story bro, would be nice to have a tutorial on how to color correct and what position the light is best on. And that tv where u can see your shots live, how do you get/do that? hey andrew.. i know this isnt the right place to ask, but could you maybe do a quick breakdown about an effect i just saw at the game deus ex human revolution? i dont know if you know the game, so in the menu are some yellow/ orange triangles in 3d space (something like trapcode form). Cool effect, now how do I get the flower out of my camera? How about protecting camera against particles ? Don't forget to clean your lens once you are done.. Just kidding. Nice tute dude! your videos are getting better and better. kudos! So, what would this be used for? BG for graphics page? Not sure what I would use it for. Class! You are a Legend, Andrew! Is this the tutorial of the month, i was looking forward a new After Effect tutorial. I haven't laughed so hard in a while! You are hilarious! I JUST LAUGHED SO HARD WHEN HE WAS ORGANIZING THE WHITE POWDER!!! Zacuto started selling professional grade cine-flour for $300 a gram. was the ending a tribute to Ace Ventura: when nature calls?? bahaha. anyways awesome stuff! could u plz share some footage ?? how much can you feed us with flour? when will the new plugin 3D particles? Hey! did u see that guyz?